The DARK Act was defeated in the U.S. Senate on Wednesday, infuriating Monsanto who had lobbied to make it illegal for food producers to label GMO ingredients on their products. 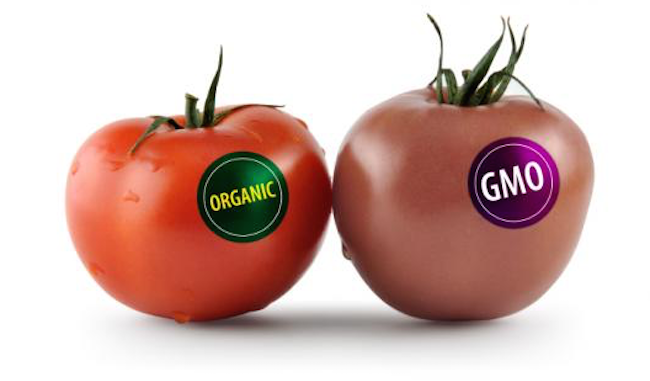 The failure to outlaw GMO labeling represents a huge victory for American consumers and for the Environmental Working Group, which helped organise opposition against the bill. I spoke to industry insiders this morning who confirmed that the offices of many U.S. Senators were hit hard with a “tidal wave of calls” from concerned Americans. Even many Republican senators are starting to come around on this issue, and GMO labeling continues to gain steam across the country as food consumers increase their demand for honest food labels and overall food transparency. In a major win for consumers, Sen. Pat Roberts (R-Kan.) failed to earn the votes he needed to stop debate on a bill known to opponents as the Deny Americans the Right to Know Act, or DARK Act. The defeat of the DARK Act vindicates Scott Faber, who was previously accused by several pro-labeling industry insiders as siphoning money away from state ballot measures (Natural News covered this story and quoted three industry sources). However, it is clear from today’s victory that Scott Faber is working hard for labeling at the national level, and he deserves tremendous credit for today’s victory, regardless of the previous disagreements among labeling advocates in the “states vs. federal” debate. It’s clear that the Environmental Working Group and the Just Label It campaign are both on the right track so far, and the EWG now tells Natural News that they fully support the Merkley bill created by Sen. Jeff Merkley (D-Ore) which creates a national mandatory standard for GMO labeling. Consumers Union, the policy and advocacy arm of Consumer Reports, today praised the introduction of the Biotechnology Food Labeling Uniformity Act. The legislation, sponsored by Senator Jeff Merkley (D-Ore.), would create a national standard for GMO labeling and require food manufacturers to label products with GMO ingredients via one of several options on the ingredients list section of the Nutrition Facts Panel. Another option would give FDA the authority to develop a symbol, in consultation with food manufacturers, which would disclose the presence of GM ingredients on packaging. Merkley’s bill comes the day after the Senate Agriculture Committee voted to move forward an anti-consumer bill that would preempt state GMO labeling laws and direct USDA to develop duplicative standards for voluntary labeling and promote biotechnology. The legislation, which is supported by biotech giants and some of the country’s largest food companies, is the latest attempt to block a Vermont law requiring labeling on the package of genetically engineered food sold in the state before it goes in to effect July 1. Consumers Union is urging consumers to call on their lawmakers to oppose preemption of state GMO labeling laws, and to support meaningful, mandatory on-package labeling for GMO foods, including engineered animals like salmon and engineered produce and processed food.